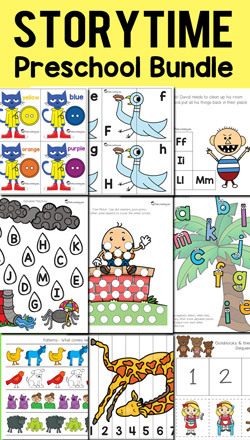 Probably my favorite type of activity that I like to create is book themed printable activities. 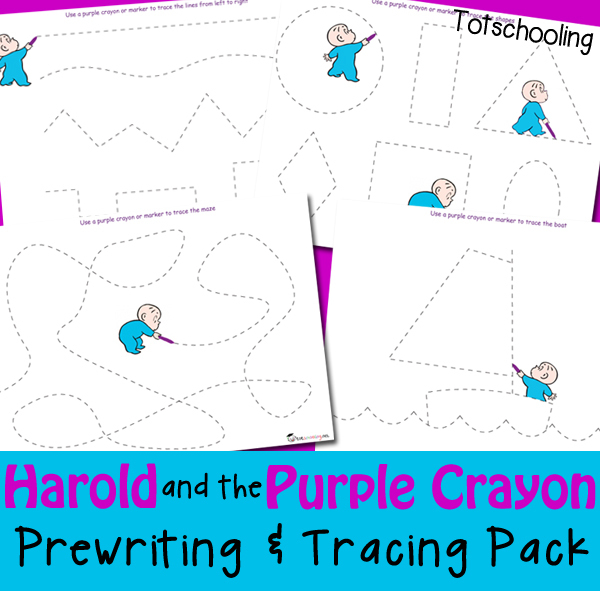 Today, I am sharing with you a free prewriting and tracing pack with a Harold and the Purple Crayon theme. Be sure to give your child a purple crayon or marker to help connect the book to the activity! 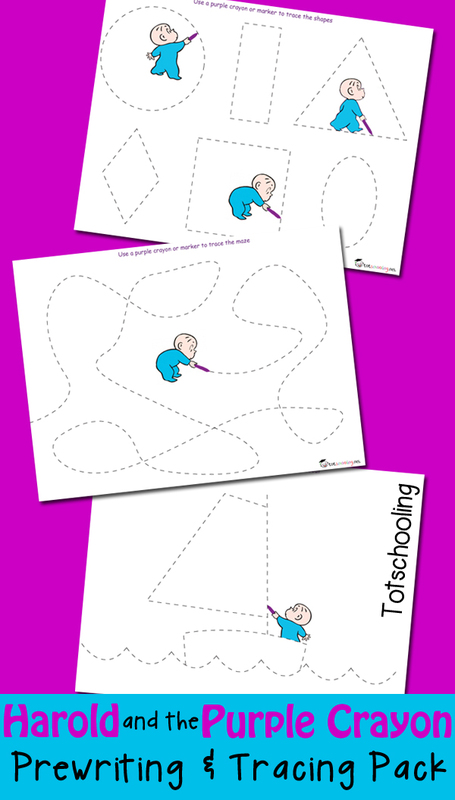 This free printable pack contains 9 pages including line tracing, shape tracing, mazes and tracing pictures. The picture tracing includes pictures that Harold draws in the book, such as a boat, tree, hot air balloon, and a house. 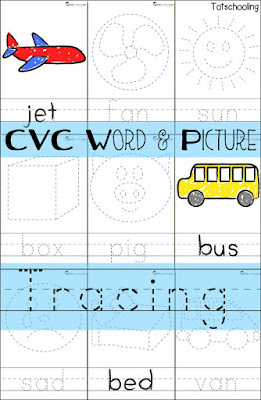 For more tracing practice that includes reading and tracing CVC words, see our CVC Word & Picture Tracing Cards. This is such a fun set - my toddler loves that story. Thanks for sharing!